Alexis bought two packs of beef back ribs this week because she knows that I love beef ribs, both short ribs [click link for how I smoke short ribs] and back ribs. 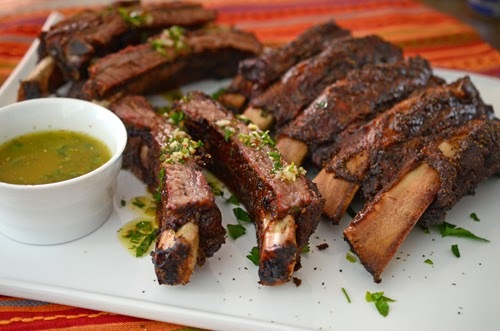 Beef back ribs are the ribs from the prime rib roast. Back ribs are what you get when the butcher cuts off the rib bones to make a boneless beef rib roast. The best ribs are the ones from the "first cut" or bones 9-12. 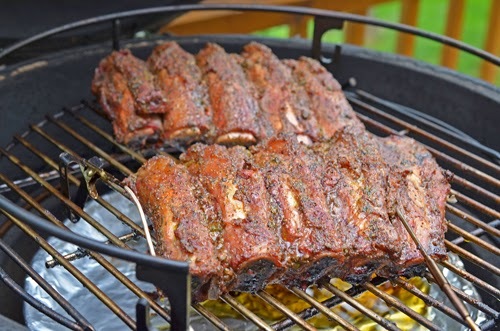 You want ribs that have meat with a vibrant red color and pick the rack(s) that have the most meat on them. Problem is that beef is a high priced commodity so butchers are going to try to leave as little on the bone as possible. 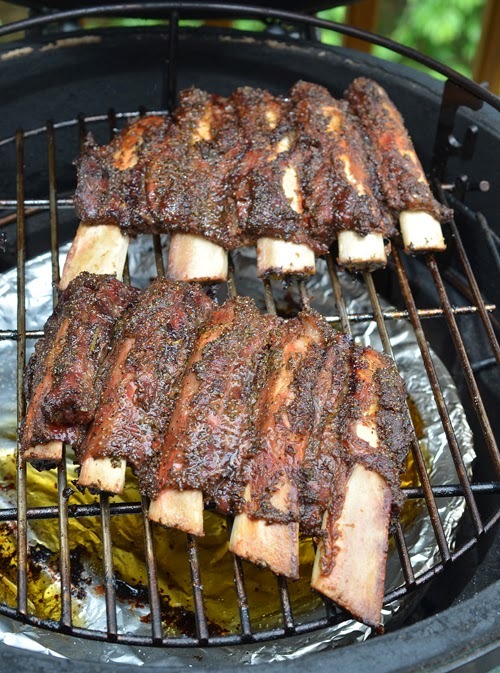 Beef back ribs can often be a little scrawny and you have to work for your meat, kind of like crab legs. 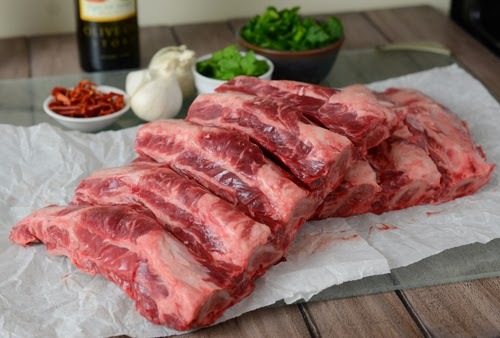 If you are looking for a meatier, beefy rib - get whole beef short ribs instead. Normally I would just season these with my NMT Beef Rub or even just salt, pepper, and garlic and cook them on the Big Green Egg. 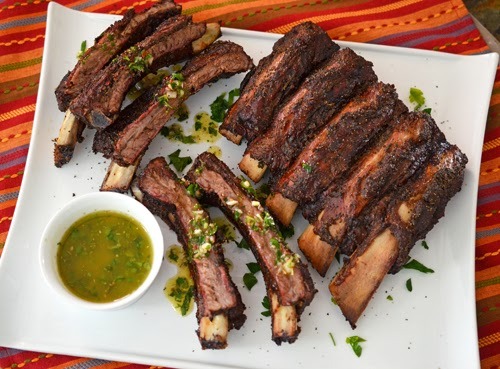 But I was in the mood for something different and thought that marinating beef ribs in a chimichurri would impart a bold flavor. In a large bowl, add the parsley, garlic, onion, oregano, salt, red pepper flake, black pepper, and red wine vinegar (everything but the olive oil). Slowly pour in the olive oil while you vigorously whisk the bowl. Note: If you like, substitute half of the parsley with cilantro. Reserve 1/2 cup of the marinade for use as a condiment after cooking. 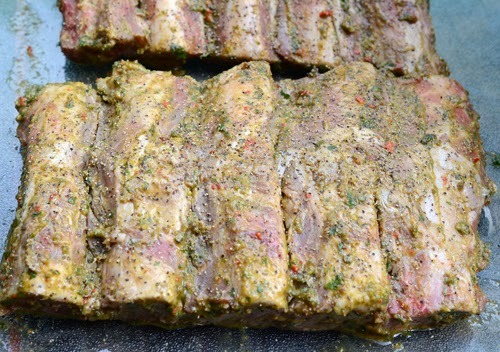 Slather the ribs with the remaining chimichurri and refrigerate overnight or 8 hours. 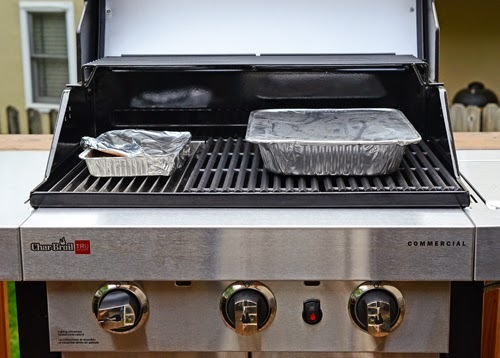 Set up your grill for indirect heat (see below) and preheat it to a grate level temperature of 225°F. Remove the ribs from the marinade and wipe off any excess marinade. Season liberally with black pepper. I didn't measure but maybe a teaspoon per rack. Place the ribs on the cooker bone side down and slow roast until they reach an internal temperature of 200°F, about 3-4 hours depending on the thickness of your ribs. Once the ribs hit 200°F, season them lightly with salt and immediately spritz or baste the ribs with the beef stock. 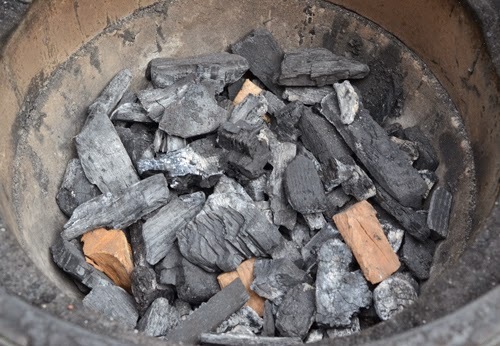 Place back on the grill for 5 more minutes. The butchers don't leave much on these racks but they still taste great. Today I was using GFS lump and small chunks of cherry wood. My indirect set up for today was an Adjustable Rig which uses a spider rig, 13" pizza stone, and drip pan to create the indirect barrier. Of course, a plate setter "legs up" and a drip pan works just as well. 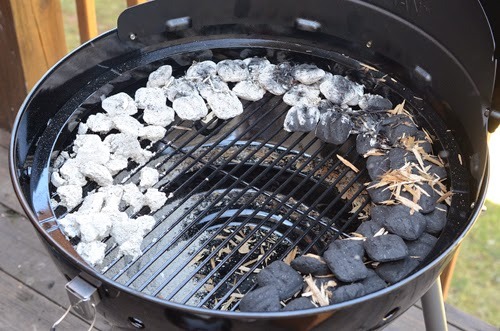 If you are using a kettle grill like the Char-Broil Kettleman pictured here, I recommend using a fuse burn like this so you don't have to refuel. 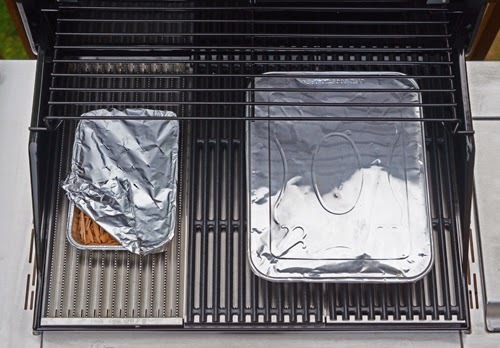 If you are cooking this on a gas grill like my Char-Broil Commercial, use this set up. Turn on only one burner (here the left one) with a packet of wood chips on top of it. The food will be on the other side. Same set up, different view. I just sprinkled the black pepper on until it had good coverage like this. Like I said, I didn't measure, but I'd guess it was about 1 teaspoon on each rib. I used the Flame Boss 100 for this cook. I cooked on an Egg for 6 years using manual controls but I have dabbled with using controllers. They are basically a device that asks "Is it hotter than X° in that cooker? If yes, then don't do anything. 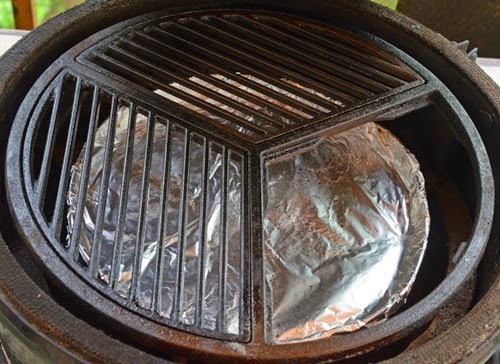 If no, then blow air into the grill." 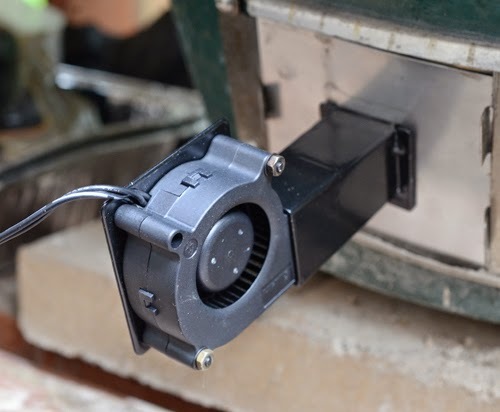 This is the blower that the controller....errr...controls. 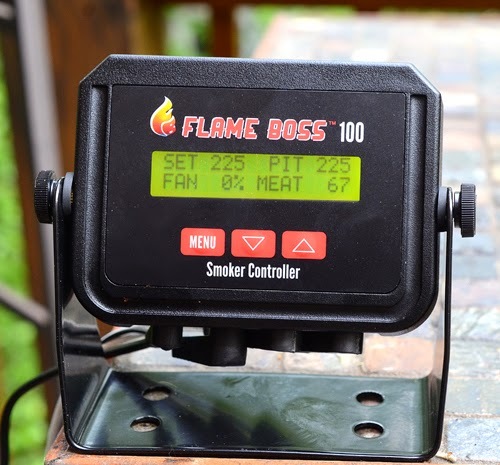 I got this to review when I ran into the manufacturer at the Hearth Patio and Barbecue Association in Nashville. I'm putting it through the paces. I mentioned these ribs were scrawny. They might not look like it raw, but as they cook, the bones will actually burst through. Steak on a stick, it's hard to go wrong with that. 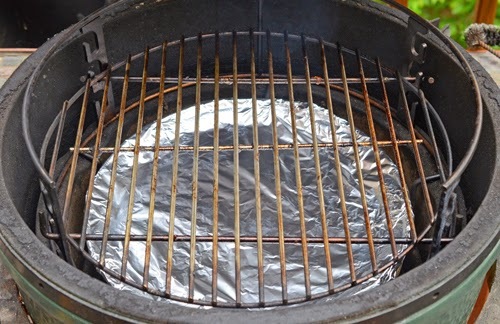 Notice how much fat rendered out onto the drip pan. It looks like a lot of food but they are either an appetizer portion or you'll need to count on 2 to 3 ribs per person for an entree portion. Compare that to a full beef short rib which 1 is plenty for me. 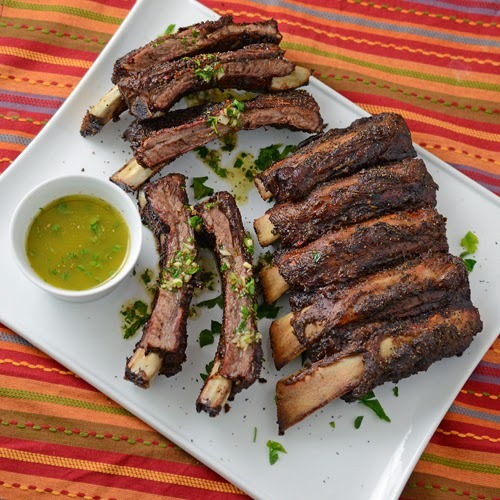 There is already a lot of flavor cooked onto the ribs so don't over do it with the fresh chimichurri as a condiment. A little goes a long way. I know that this marinade also works great with flank steak and NY Strip steaks. It would probably be good on anything beef, after all, it is an Argentinian condiment and they are famous beef lovers.